As many of you may know, I recently launched my Chef Katie Chin You Tube Channel. 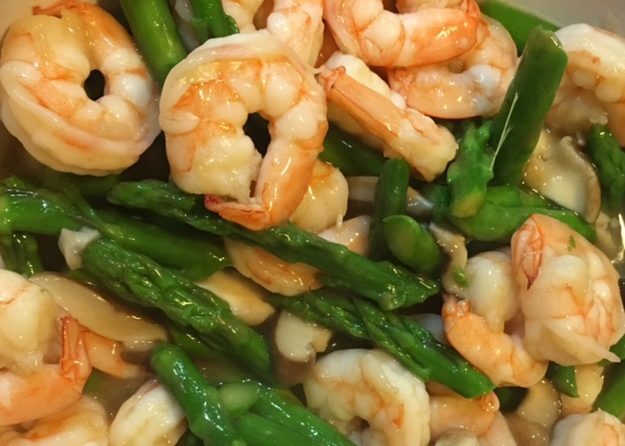 I couldn’t resist sharing this recipe for Walnut Shrimp again since we just posted the video on how to make it on my channel. Check it out here and please subscribe to my channel! If you’ve tasted this citrusy, creamy and crunchy dish, you know what I mean when I say it’s completely addicting. This is an indulgent dish you want be making every night but it’s an impressive recipe to serve at a dinner party or for those nights when you just want to treat yourself. 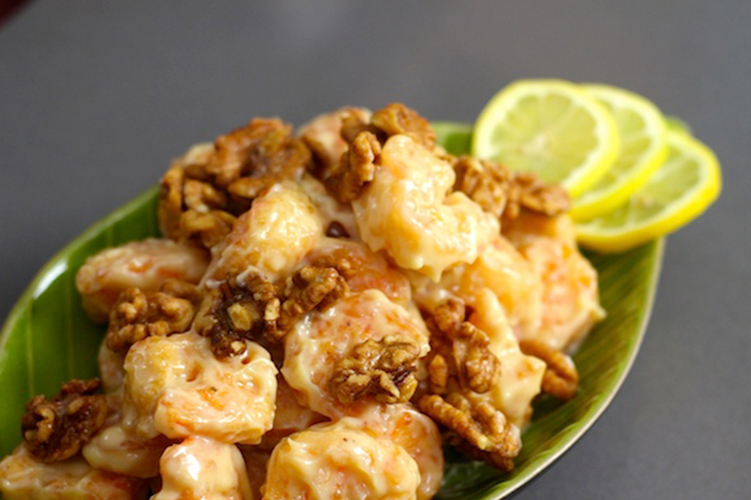 I always make Walnut Shrimp on my hubby’s birthday because it reminds him of when we first met and I cooked him dinner. He didn’t realize at the time that I snuck this recipes out of my late mother Leeann’s personal vault! 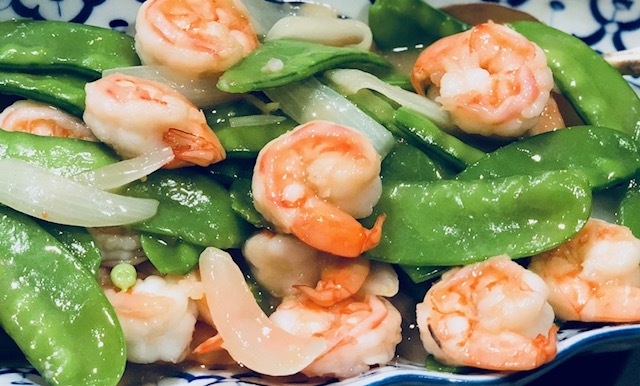 She learned how to make Walnut Shrimp from Hong Kong chefs known for their decadent sauces like this one made from mayonnaise, condensed milk and lemon & lime juices. I like to keep it simple by buying candied walnuts from Trader Joe’s for this recipe. In a small bowl, mix together the egg white, cornstarch, baking soda, garlic salt and 1 teaspoon vegetable oil to a smooth paste. 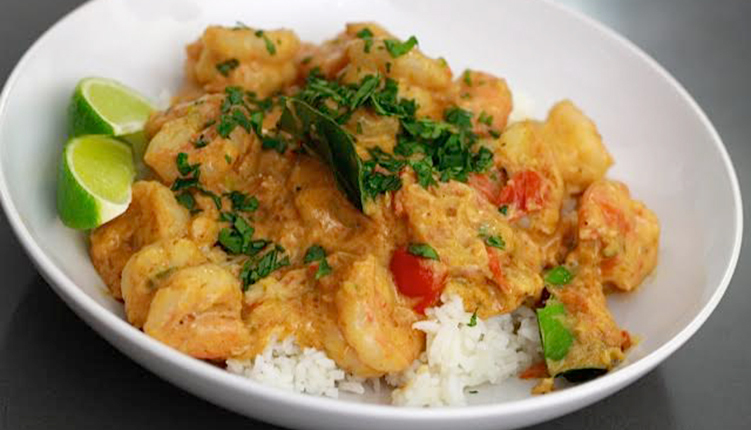 Add the shrimp and blend to coat very well. In another small bowl, mix together the sweetened condensed milk, mayonnaise , and lemon and lime juices until smooth. Set aside. In a wok or large deep skillet, heat the remaining 4 cups vegetable oil to 350°F. 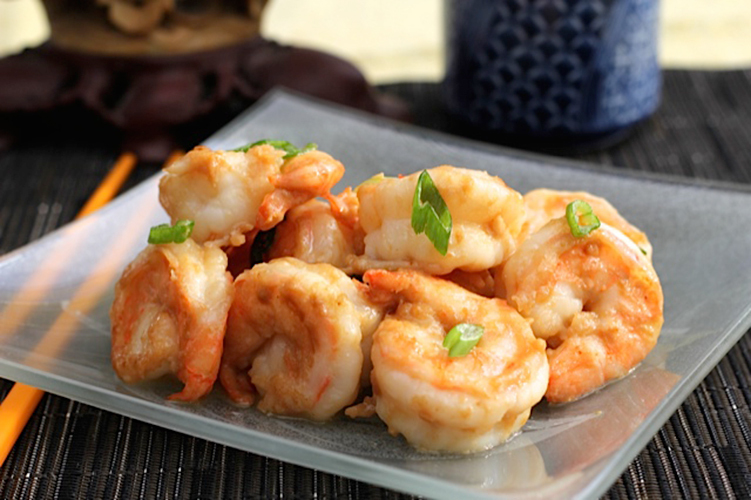 Deep fry the shrimp until light brown, 3 to 4 minutes, turning as necessary. Remove from the oil. 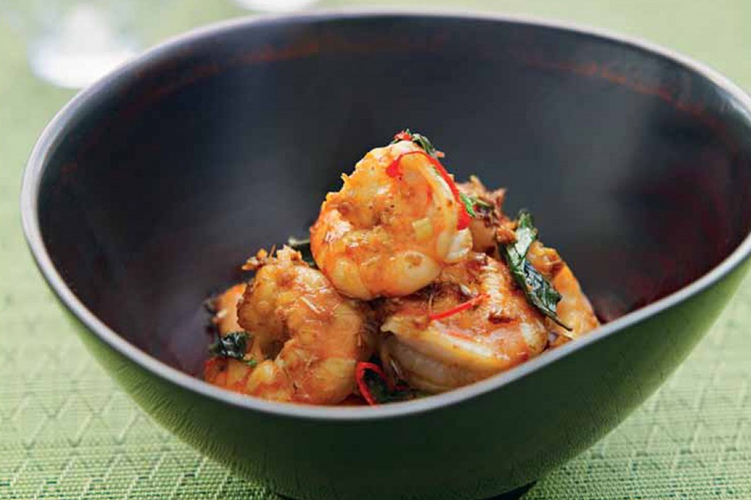 Increase the oil temperature to 375° F. Cook the shrimp for 1 more minute and remove; drain well on paper towels. Pour the mayonnaise mixture over the shrimp and stir until well covered. Place onto a platter, sprinkle the candied walnuts on top and serve immediately.